Nine extraordinary women working at the intersection of climate change, food and agriculture have been selected as the 2018 Stone Barns Exchange Fellows. The Fellowship program was developed with the goal of creating a network of food system leaders who are equipped to tackle vexing challenges and identify emerging opportunities for systemic change across geographies and disciplines. The Fellowship takes advantage of the Stone Barns campus as an immersive and interactive farm and kitchen laboratory and provides critical intellectual and financial support to emerging leaders. Fellows have the opportunity to live, work, learn and think together and to identify prospects for a truly resilient food system. Blue Hill at Stone Barns, the Center’s on-site partner, will extend learning to the kitchen and dining room, inviting the Fellows to engage with chefs, restaurant collaborators and entrepreneurs as they explore ingredients, dishes and topics that impact the health of our land and ourselves. Applications for the 2018 Exchange Fellowship are now closed. Selassie Atadika grew up with a broad array of food influences that spanned the space between Ghana, her country of birth, and her home in the Hudson Valley. Selassie is a founding member of Trio Toque, the first nomadic restaurant in Dakar, Senegal. 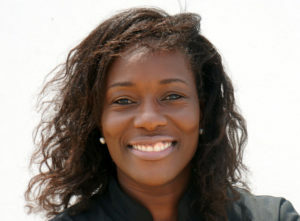 She has been recognized as a one of the ‘Global Top 50 Plant-Forward Chefs’ and sought out for her thought leadership by CNN’s African Voices, the Financial Times, Danish Broadcasting Corporation, OmVärlden and Die Welt. With a clientele that spans five continents, her cuisine has been showcased at the James Beard Foundation and a State Dinner hosted by the Queen of Denmark. Selassie holds a Master’s degree in International Affairs from Columbia University’s School of International and Public Affairs and a Bachelor’s Degree in Geography and Environmental Studies from Dartmouth College. 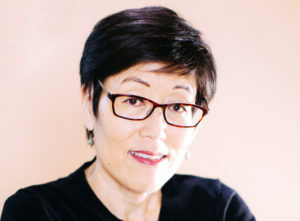 Katy Chang is a chef, food and wellness expert, award-winning documentary filmmaker, and founder of EatsPlace, a culinary business incubator and capital fund. Through EatsPlace, Katy provides innovative financial development services to food entrepreneurs, with a focus on supporting women and those from historically underserved communities. Katy is passionate about raising awareness around urgent and systemic challenges facing regional food systems, especially through food and film. She has been featured in The New York Times, Food and Wine Magazine and The Washington Post, as well as on the Food Network and National Public Radio. 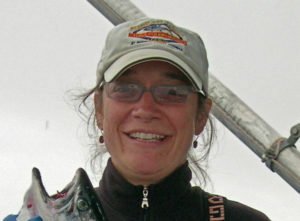 Amy Grondin has worked in the salmon industry as a fish buyer, microprocessor and commercial fisherman in Alaska and Washington since 1993. When off the water, Amy provides commercial fishing outreach to communities and organizations. Some of her past contracts include work with Sustainable Fisheries Partnership, Ecotrust, Natural Resources Defense Council, Marine Fish Conservation Network and Ocean Conservancy. Amy acts as a liaison, bringing fishermen, farmers and culinary professionals together at workshops and conferences on sustainable food and marine science. She serves on the board of Organic Seed Alliance and is an active member of Les Dames d’Escoffier, Slow Food, Chefs Collaborative and Community Fisheries Network. A former English professor, Karen Leibowitz has shifted her energies toward mission-driven restaurants and climate change activism. Since 2012, Karen has worked as a freelance journalist, applying her academic research skills to questions of food, climate and regenerative agriculture. In 2016, she and her husband founded The Perennial, a restaurant and bar dedicated to leading the restaurant industry toward support of a healthier food system. She is also Executive Director of The Perennial Farming Initiative, a nonprofit operating an aquaponic greenhouse fueled by The Perennial’s food scraps. Karen is on the board of Zero Foodprint and regularly speaks about the intersection of food and climate change in California and beyond. She is also the co-founder of Mission Chinese Food in San Francisco and New York City. 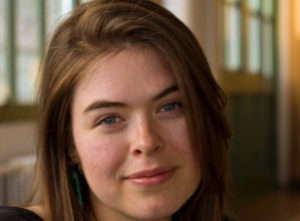 Aria McLauchlan is a social impact and environmental communications professional. Aria recently co-founded Land Core USA, an organization creating soil health legislation to be introduced into the 2018 Farm Bill. She also served as communications director of Kiss the Ground, a nonprofit organization promoting healthy soil. In this role, she directed the launch of “The Soil Story,” a petition campaign that resulted in the passing of the California Healthy Soils Initiative. Previously, Aria spent a decade working in business development, branding and marketing for clients like Target, Rainforest Alliance, Ekocycle, Prana, Aveda, Lindblad Expeditions and The Wildlife Conservation Society. 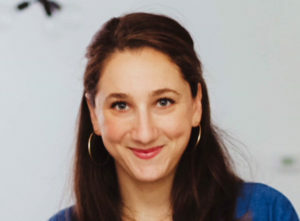 Ariel Pasternak is the founder and CEO of Pineapple Collaborative, a company and platform celebrating women’s relationship with food and highlighting female food leaders. Ariel’s work has been featured in Forbes, NPR and Bon Appetit Magazine and serves on the junior boards of Hot Bread Kitchen in NY and FRESHFARM in DC. Ariel has prior experience in hospitality and environmental policy, and previously worked as director of branding and business development at Chaia, a seasonal taco shop in Washington, D.C. She has also served as the mid-Atlantic market manager at Stumptown Coffee Roasters and as an analyst at Monitor 360. She holds a Bachelor’s Degree in Environmental Studies and Political Science from the University of Pennsylvania. She is a first generation American. Kathryn Quanbeck is focused on getting local and sustainable meat to market. She started her career in the meat and livestock industries as a livestock economist for the USDA. At USDA she developed a keen interest in value chains: the aggregation, processing, distribution and marketing steps it takes to get sustainable products like grass-fed beef and pastured poultry to restaurants, retailers and institutions. She left USDA to work more directly with meat processors: first on a project to build a meat processing facility in Northern California and then for the Niche Meat Processor Assistance Network, a national network of 1,600+ processors, farmers, ranchers and other professionals. After the fellowship, she’ll start as the Director of Business Development for Carman Ranch, a 100% grass fed beef and pastured meats business in the Pacific Northwest. 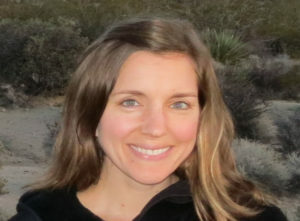 She has a master’s degree in Agricultural Economics from the University of California at Davis. Ariel Lauren Wilson grew up working on her family’s seventh generation dairy farm in North Carolina. 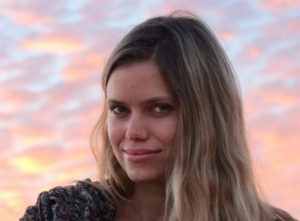 In 2013, after researching European food and agriculture policy while living in Dijon, France, Lauren moved to New York and joined the Edible Manhattan and Edible Brooklyn editorial team as their first digital editor. Since 2016, she has been the editor of all print and digital properties and helps program their annual Food Loves Tech conference. 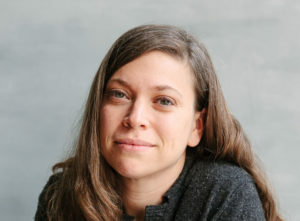 She is also on the board of Slow Food NYC and volunteers with the Billion Oyster Project to keep oysters and collect data on the health of the New York Harbor. Photo by Tommy Werner. The 2017 first class of Exchange Fellows gathered for a 3-week residency at Stone Barns Center for Food and Agriculture as they honed their knowledge and skills, connected with experts and each other and evolved their ideas through hands-on activities, conversation, and project design, ultimately working to support the development of a healthy and sustainable food system. Learn more about the 2017 Exchange Fellows here. Why did Stone Barns Center start the Exchange Fellowship? Food is a complex social, technical and cultural issue, which includes in its set of stakeholders every human on the planet. We seek to address the systemic problems plaguing our food system, rather than treat each of its individual woes. But in our reductionist world, whole-systems thinking is rare. That is why we launched the Stone Barns Exchange Fellowship in 2017 – to break down silos in the food system and get people to work across disciplines to solve systems-level problems. Food production and climate change are inextricably linked. The global food system, from fertilizer manufacturing to food storage and packaging, is responsible for up to one-third of all human-caused greenhouse-gas emissions. The agricultural sector is the world’s second-largest emitter, after the energy sector. But agriculture should be part of the solution, not a part of the problem. Many scientists and farmers believe that agriculture based on soil health can help mitigate the worst effects of climate change. Our emerging understanding of soil’s role in climate stability and agricultural productivity will likely prompt a paradigm shift in agriculture, triggering the abandonment of conventional practices like tillage, crop residue removal, mono-cropping, excessive grazing and blanket use of chemical fertilizer and pesticide. Carbon sequestration in soil and vegetation draws carbon out of the atmosphere, and healthy soil can temper some of the worst impacts of climate change including flooding, droughts, disease and extreme weather events. By bringing together emerging leaders who are thinking about agriculture as a strategy for dealing with climate change, we seek to accelerate problem solving and generate cross-sector collaborations. We are seeing exciting trends in agriculture and the food movement as a whole that merit response. In their new book, “The Rise of Women Farmers and Sustainable Agriculture,” Carolyn Sachs and her co-editors chronicle “a feminist moment in food,” including the fact that women now account for more than 30 percent of farmers in the U.S. This number has more than tripled in the last three decades. We have observed this trend in the attendance at Stone Barns Center’s annual Young Farmers Conference, where half of the attendees are young women farmers. Changing the way America farms and eats requires a deliberate approach to supporting and developing the next generation. Sustainable farming enterprises are disproportionately led by women and tend to be more socially conscious, more ecologically responsible, and more educationally oriented. The more women achieve success in good food and farming, the more change is made. Focusing on an interdisciplinary group of women allows us to address some of the unique challenges and inequities women face regardless of profession or discipline, advance exciting trends and energy in the food movement, and respond to other national social movements. Furthermore, many national food organizations have female leadership (e.g., National Young Farmers Coalition, Glynwood, TomKat Ranch and Stone Barns Center). Women are accelerating the work of food systems change, and we want to support them. For additional questions, please visit our FAQs.